I’ve been a steady reader of the beer coverage by Fortune magazine and have lauded it to anyone that will listen (or can tolerate my annoying platitudes). Chris Morris is a champ, John Kell enlightens and the entire publication really offers great insights into beer as a business. And there has been a lot of beer business news. They cover the news not just from a retail and financial slant, but also how it affects the average beer drinker and their manner of indulging that habit. Plus, many of the writers seem to have a deep beer appreciation. For those that haven’t followed them, give them a search. But I will also admit that I’m a softy for charts and graphs and infographics and diagrams and educational illustrations and storyboard animation and all of that. And Harvard Business Review (sorry Josh) has this great piece that about the AB Inbev acquisition of SAB Miller — which probably still won’t bring Snow Beer to me. 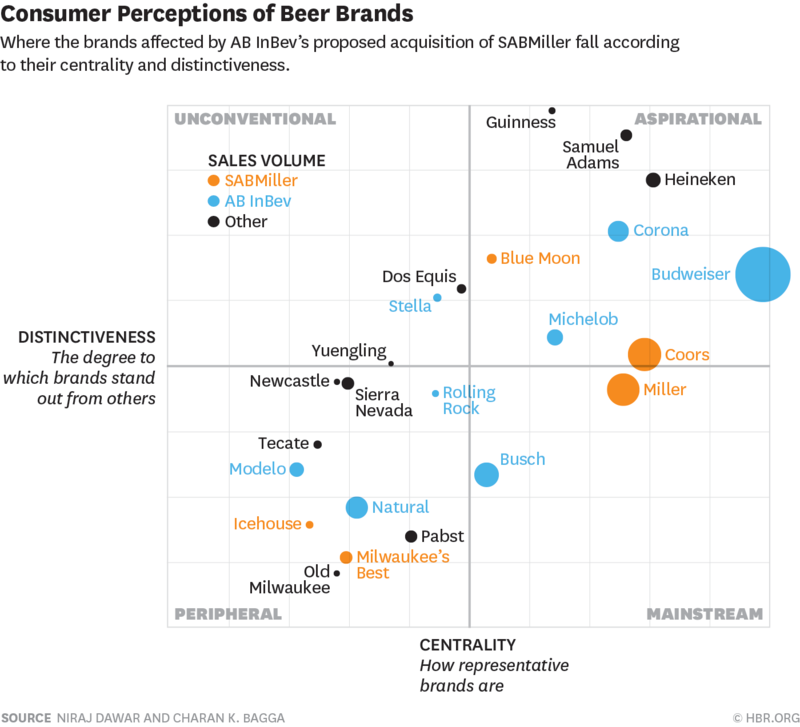 Even better, they have an awesome graph about brand perception around the most well known beers in the United States. For information geeks like me, it was a nice dessert to the meals that Fortune serves. Next Next post: Football and a Pint? A Free Pint?